● Amazing "Car Dealer SEO"
We live and breathe SEO for automotive dealers, it is in our blood, and we are damn good at it. Want to know how and why our auto sales websites rank so well in google? Check out our auto dealer SEO info page. Our built-in craigslist posting service for car dealers was designed from the ground up with auto sales in mind. Hate the "one-size-fits-all" credit apps the other website providers give you? That is never a problem with AutoCorner! Our credit applications are fully customizable in thousands of ways. Choose what elements are required, optional, or remove them entirely to meet your exact needs; the power is in your hands! AutoCorner is a national leader in web services and has helped over 5,967 independent used car dealerships crush their competition! Our tools take the hassle out of Craigslist Marketing, and the ads posted by our dealers every day proves it. "I have been working as an Internet Manager for 15 years now and in my position have had experience with other providers. I was previously with Dealer Car Search and was extremely unhappy with them. 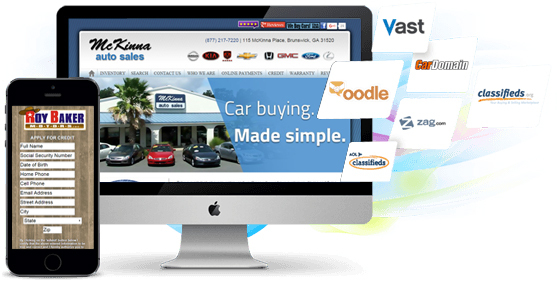 "You can spend more, but you won't get a better site than from Auto Corner. I have had several in the past, but these people stay on top of product. See The Difference A Well Designed System Can Make For Your Business.